As soon as divorce proceedings start the process of determining child support will begin. If a divorce case is pending and the custodial parent (the parent the child is living with) is finding it difficult to make ends meet financially, it may be necessary to go into court to get a support order to ensure the noncustodial parent contributes to his/her child’s support. In the majority of cases, the custodial parent seeks financial support for the child from the non-custodial parent. Child support will likely be ordered by the court if agreement between the parties cannot be reached. It is important to understand what is considered an extraordinary expense not covered by child support payments. In general, courts require one of the parents to cover the cost of medical insurance. Uninsured medical costs and expenses will likely be apportioned between the parties. 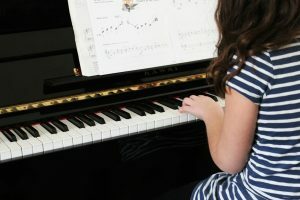 Extraordinary expenses are usually those resulting from the child taking part in extracurricular activities, such as sports teams, scouting, and musical instrument lessons. An important step in making sure child related expenses are shared fairly is to open a line of communication between the parents. Who pays for extraordinary expenses? In most divorce cases, extraordinary expenses are dependent upon the facts and circumstances of a particular case. As a result, the majority of legal experts recommend an open and fair dialogue between parents as the best avenue for negotiating an agreement. Another recommendation is to treat extracurricular activities as an annual expense to be agreed upon annually. An agreement can be made about which activities a child can attend that will be paid for by one or both parents. Putting aside any anger or unhappiness between parents is not an easy thing to do, but, it is often the best thing to do when it comes to sharing the financial burden of parenting. Most importantly, it is in your child’s best interest to do so. If you have questions regarding how to share children’s expenses when going through a divorce, it is vital that you have the assistance of an experienced Divorce Attorney. For exceptional assistance, contact the knowledgeable and experienced attorneys at Karpenski & Schmelkin, Divorce and Family Law Attorneys for more information.